We show for the first time images of solar coronal mass ejections (CMEs) viewed using the Heliospheric Imager (HI) instrument aboard the NASA STEREO spacecraft. The HI instruments are wide-angle imaging systems designed to detect CMEs in the heliosphere, in particular, for the first time, observing the propagation of such events along the Sun – Earth line, that is, those directed towards Earth. At the time of writing the STEREO spacecraft are still close to the Earth and the full advantage of the HI dual-imaging has yet to be realised. However, even these early results show that despite severe technical challenges in their design and implementation, the HI instruments can successfully detect CMEs in the heliosphere, and this is an extremely important milestone for CME research. For the principal event being analysed here we demonstrate an ability to track a CME from the corona to over 40 degrees. The time – altitude history shows a constant speed of ascent over at least the first 50 solar radii and some evidence for deceleration at distances of over 20 degrees. Comparisons of associated coronagraph data and the HI images show that the basic structure of the CME remains clearly intact as it propagates from the corona into the heliosphere. Extracting the CME signal requires a consideration of the F-coronal intensity distribution, which can be identified from the HI data. Thus we present the preliminary results on this measured F-coronal intensity and compare these to the modelled F-corona of Koutchmy and Lamy (IAU Colloq. 85, 63, 1985). 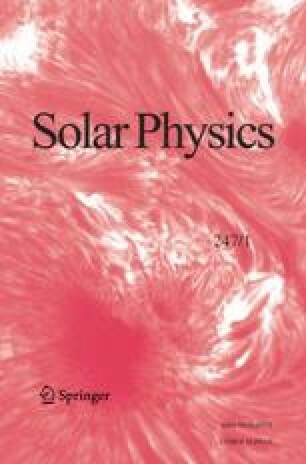 This analysis demonstrates that CME material some two orders of magnitude weaker than the F-corona can be detected; a specific example at 40 solar radii revealed CME intensities as low as 1.7×10−14 of the solar brightness. These observations herald a new era in CME research as we extend our capability for tracking, in particular, Earth-directed CMEs into the heliosphere.